Based on David E. Talbert’s debut novel, Baggage Claim tells the story of a flight attendant with thirty days and thirty thousand miles to find a husband. Baggage Claim gives you a first-class peek into the wacky world of Montana Moore, a thirty-five-year-old flight attendant with enough baggage from her past relationships to fill an entire Samsonite showroom. Montana is an incurable romantic. A dreamer. The kind of woman who has her head in the clouds while her heart splatters swiftly to the ground. With her mother having just tied the knot for a record-breaking fourth time and her baby sister, Sheree, rushing to jump the broom, five-time maid of honor Montana is dangerously close to becoming not only the oldest, but the only woman in her entire family never to be married. Having convinced herself that there’s no way in heaven or hell she’s showing up at her sister’s Christmas Eve engagement party without a prospect of her own, Montana concocts her wildest and most romantically ridiculous plan yet: a thirty-day, thirty-thousand-mile trek in search of a husband. Will it be Damon Diesel, a young hip-hop producer whose motto is “Making the green scream and the dolla holla!”? Or will she win over the Reverend Curtis P. Merewether, pastor and founder of Greater House of Deliverance, Tabernacle of Praise, Worship, and Miracles? Of course Langston Jefferson Battle III, superattorney turned city councilman, needs a wife now that his sights are set on the United States Congress. Or perhaps her lifelong mate is Quinton Jamison, a multimillionaire textile guru twenty years her senior. Only time — or the lack of it — will tell. Fasten your seat belts, lift your tray tables up, and prepare for takeoff. Our final destination: THE ALTAR! 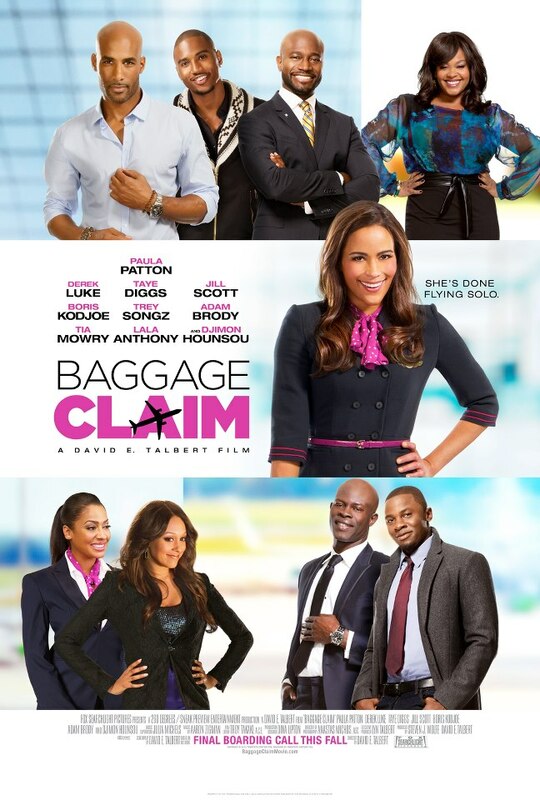 The film stars Paula Patton, Derek Luke, Taye Diggs, Boris Kodjoe, Jill Scott, Trey Songz, Adam Brody, and Djimon Honsou. It also stars Jenifer Lewis, Lauren London, Ned Beatty, Tia Mowry, LaLa Anthony, Terrence J, Rickey Smiley, Affion Crockett, Nephew Tommy and more!